On the day of collecting your puppy, your new family member will be just a car ride away and excitement levels will be high. But before jumping in the car at the earliest possible opportunity, make sure that you’re prepped and ready to approach this exciting occasion in the right way. Remember, the first few days will be an adjustment period for you as well as your puppy so it’s important to do things properly and get off to the best start possible. You might have already bought food, toys, grooming products and a nice cosy bed for your puppy, but have you puppy-proofed your home? Keep in mind that you’ll be dealing with a curious and playful little scamp who hasn’t yet learned any rules or boundaries. Even if a little unsure at first, he/she will soon be exploring their surroundings in no time, so it’s always best to be fully prepared. Make sure that anything that could hurt your puppy, such as medicines and cleaning products, are securely out of reach. There are also some plants (both indoor and outdoor) that are poisonous to dogs, so it’s vital that you’ve researched and removed anything that poses a threat. By the same token, puppies like to chew things so be sure to hide cables, wires and expensive footwear! Take an appropriate dog-carrier with you, your puppy needs to be secure and safe whilst in the car. Put a comfy blanket in the carrier or, alternatively, leave a blanket with the puppy a week or so before you take them home, that way they’ll have a familiar and comforting object for the journey. If you’re traveling a long way to fetch your puppy, be sure to take some water with you to keep them hydrated. Taking one or two breaks from the journey is also advised, as there’s a chance your puppy may feel a little unsettled or carsick. 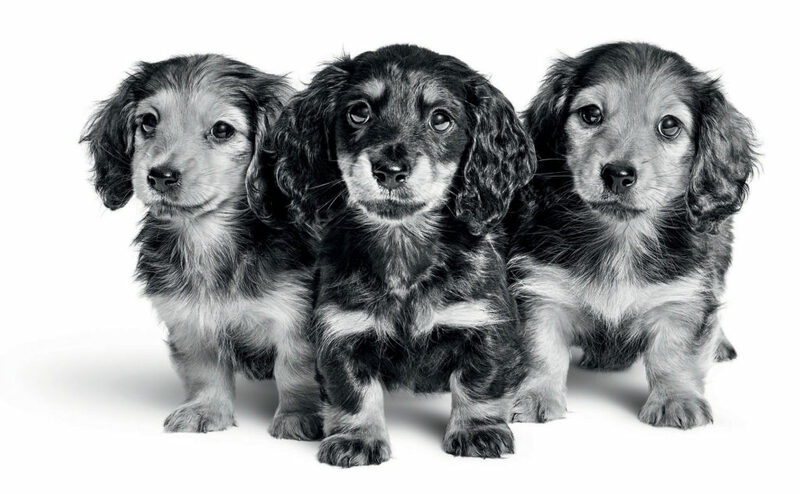 Choose the time you pick up your puppy carefully, try to avoid peak times and busy routes where possible. The drive will be new and possibly scary for your puppy so planning ahead to make it as stress-free as possible is strongly advised. Take someone else along with you. That way, if your puppy is feeling frightened or vulnerable, there will be someone there to comfort and soothe them. If your puppy cries, don’t shout at them, but don’t be overly affectionate either as that may reinforce their behaviour. Being calm and reassuring is the best course of action, especially in these early stages. This is the first time your puppy will have been away from their mother and their familiar environment, so anything you can do to make him or her feel relaxed will help. Try to limit exposure to loud noises. Try special household diffusers that mimic natural calming pheromones. If your puppy seems nervous, try not to handle them too much. (Many dogs dislike being touched on the head, particularly if they don’t know you). Avoid looking your puppy directly in the eye if they’re nervous, as this can be perceived as threatening behaviour. Let your puppy explore their new home at their own pace. See our Puppy Socialisation and Training Tips article for more information on caring for your new best friend.